As a regular reader of the big astrology forums and blogs, I just don’t see this. The Astrodienst Forum is by far the largest and most international of the astrology forums, and Hellenistic astrology simply does not rate there. It is not mentioned at all. 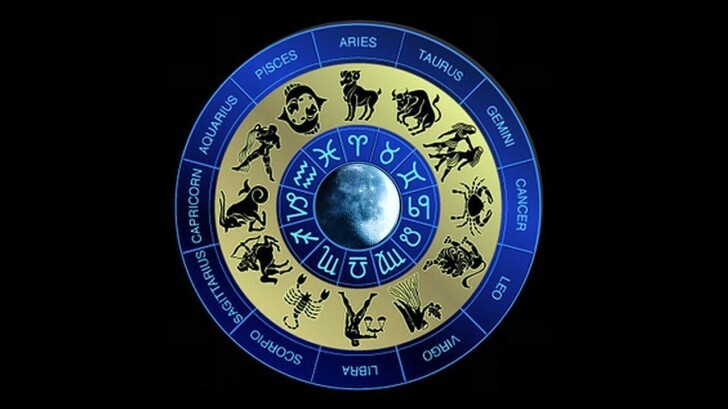 Listed under “other branches of astrology”, there is Asteroids, Fixed stars, discussion about Vedic or Chinese astrology, or specialised techniques, such as the Hamburg School or Huber School.No Hellenistic astrology. The next biggest forum is the Astrology Weekly forum, again no Hellenistic astrology. ACT Astrology has an Hellenistic Astrology section which is certainly not attracting masses of under 30’s. The Hellenistic Astrology Forum simply never got going. As for the blogs The Horoscopic Astrology Blog has a few articles about Hellenistic astrology but there are no examples of how it actually applies in the real world, no chart interpretations based on the Hellenistic methods, and The Hellenistic Astrology Blog just aint there. So as far as I can see, the hype about Hellenistic astrology seems to center around academia, selling translations, selling software and selling courses. What I do not see anywhere is the practical application of Hellenistic astrology. A lot of theory but where is the application? What good is it to clients? This traditional form of astrology claims to be above Sun Sign astrology yet the strict rules and regulations are derived from the Sun Signs. Therefore the Hellenistic system is just as flawed as Sun Signs astrology. The rules are like that of a patriarchal religion, they are so complex that they can only be fully understood by the few elite who dedicate themselves to the study of the texts like the priesthood in the church. I have argued the case in astrology forums by using examples of chart interpretations. The Hellenistic method is complex and confusing, with get out clauses for when it falls apart. All I ever got was quotes from old texts and rules, but no practical, no useful astrological interpretations. Come on Saturn opposite Uranus! As I said a while ago in The Evolution of Astrology.“There is a growing mass consciousness awareness of this issue. Astrology has critical role to play in the shift in consciousness beginning to occur. We are evolving away from the zodiac sign astrology and the strict rules and regulations that are based on the 30 degree divisions.” If the astrologers who developed the Hellenistic system jumped in a time machine and came here now, do you really think they would stick with their system and ignore all the advanced we have made in the last two thousand years? Excellent feedback Lorenzo! it’s great for me to read this from someone more “in the loop” from America. i have only made these observations as an outsider from what i see on the internet. I don’t agree with most of the sentiment of this blog. What most here don’t seem to realize is that back in the 1970’s (when I first got into the field), the modern material had the majority view (as it is now) and because of the work of Dane Rudhyar and several others, astrology was stripped of predictive power. The backlash against the modern movement was created by a failure on the part of psychological astrologers to acknowledge that there is something that can be predicted and that there isn’t absolute free will. If you think you have free will in the absolute, hold your breath and you will begin to feel fate working on you to get you to gasp for air. With absolute free will you would be able to hold your breath long enough to pass out, but your body will not let you do this. Some things are beyond your control and you are not the god of your universe, else you would know the mysteries as to why you are here and what you are here for. This is something that is hard for most of us to accept. The body is bound by fate, but the spirit is not. There is much more going on than any one branch is capable of showing by itself. Hi Curtis, good to hear your side of the story as I know you are big in the field. It’s true modern material does have the majority view but I still see predictive work all the time based on very ancient techniques such as eclipses. I persoanlly agree with you about fate versus free will, and the psychological approach on it’s own is not my cuppa tea either. My article here was more about refuting the cliam that “most of the astrologers under age 30 are drawn to Hellenistic techniques”. I don’t believe that and still see no ecvidence for it. Again, I agree with you that we should be inclusive of all the various methods in astrology, but like in the field of science, it should also be acceptable to criticize each others methods without holding back for fear of offending. Thats is what astrology has lacked in comparison to other sciences. Thanks for the link, very interesting. 10 months wait to see Steven! I’m not from a particular school, or branch of astrology but consider everything and anything if it has merits. From Hellenistic astrology I find the Lots of great value, from Evolutionary astrology, the Lunar Nodes.